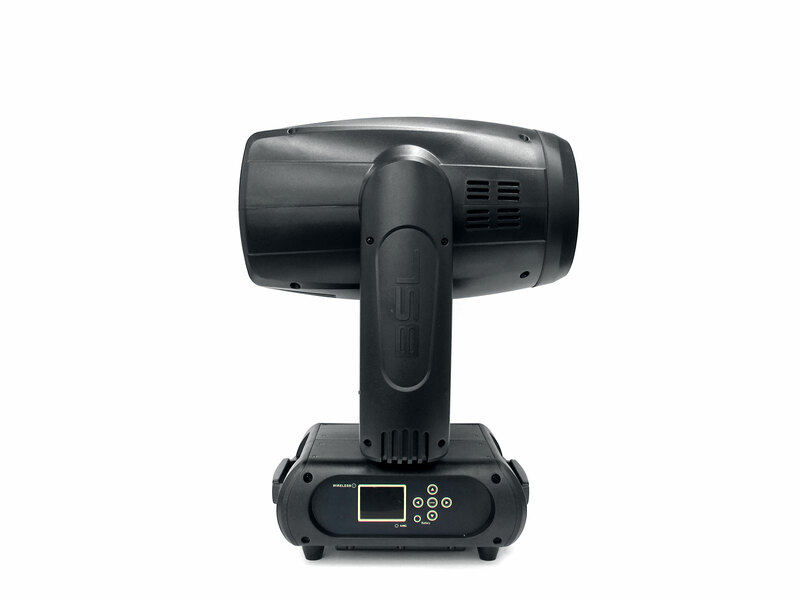 Goliath is the newest 3-in-1 Beam, Spot and Wash movinghead. 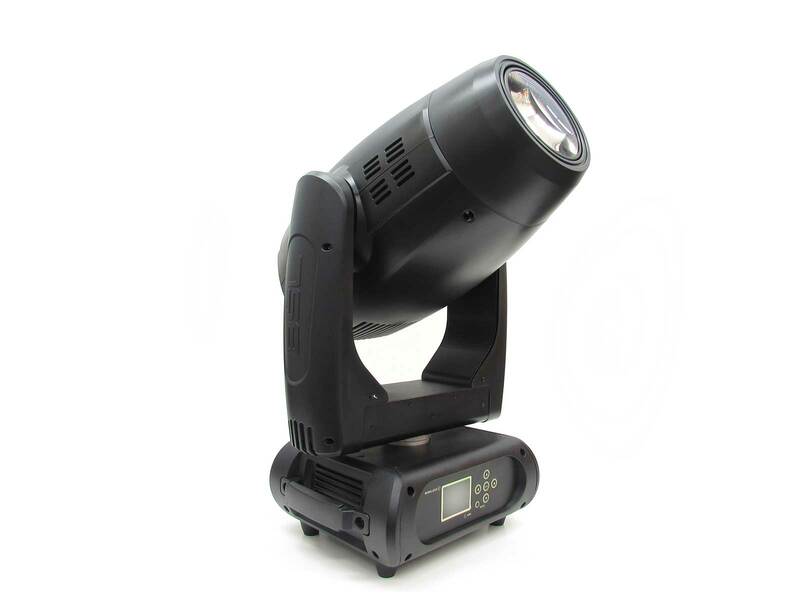 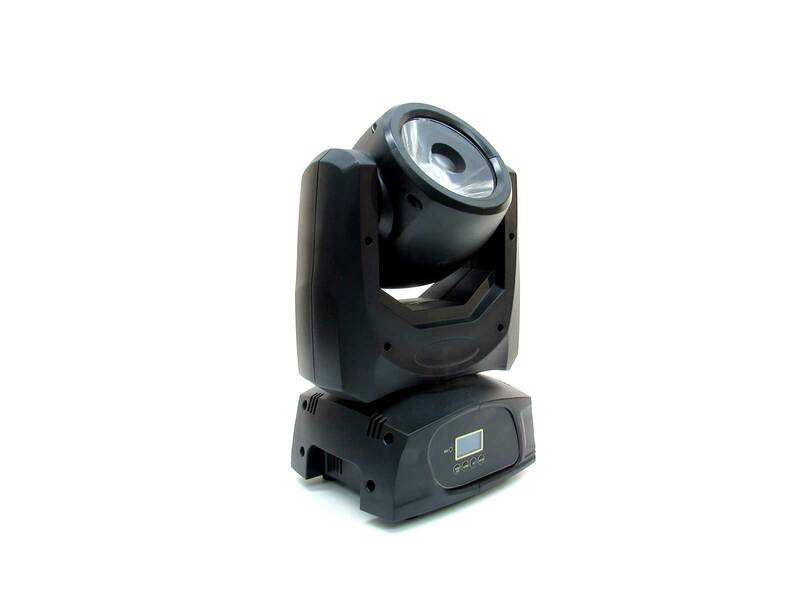 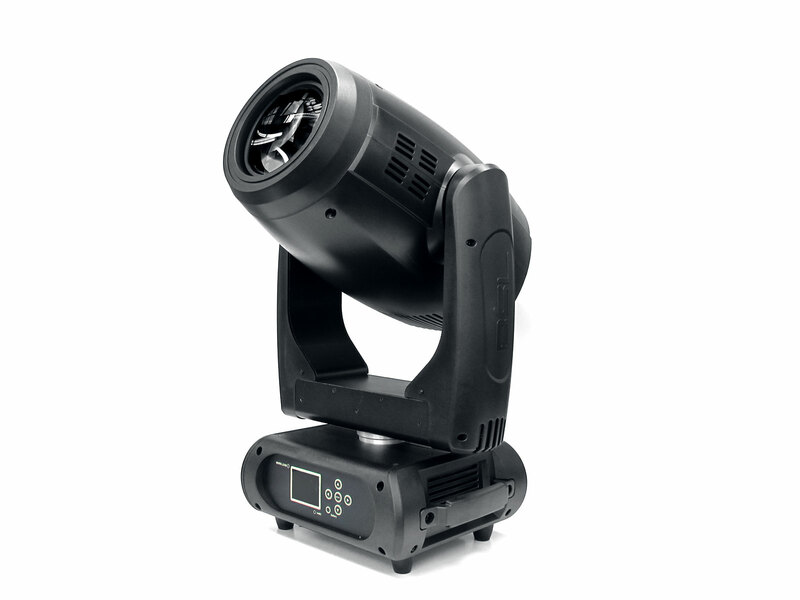 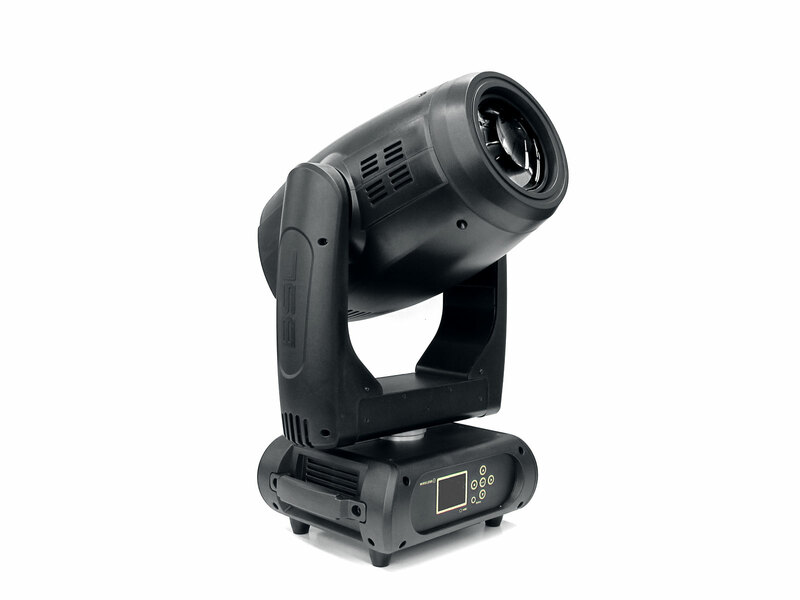 The Goliath is using the high efficient Osram Sirius 280W HRI lamp and is very compact and light. 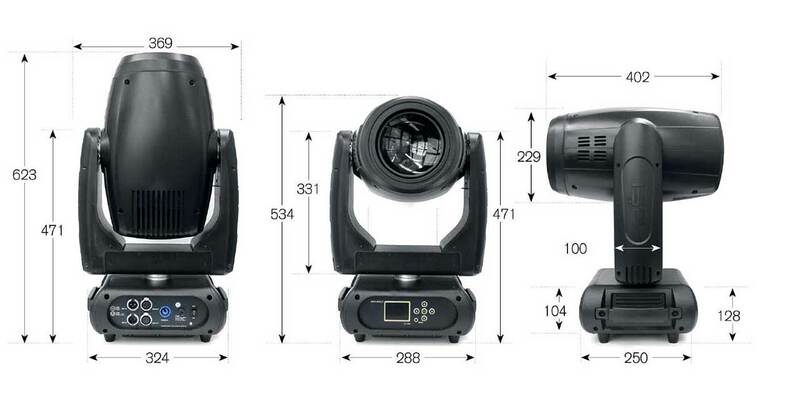 The high efficent glass optic system has been modified to create very sharp cutting edges in beam and spot mode. 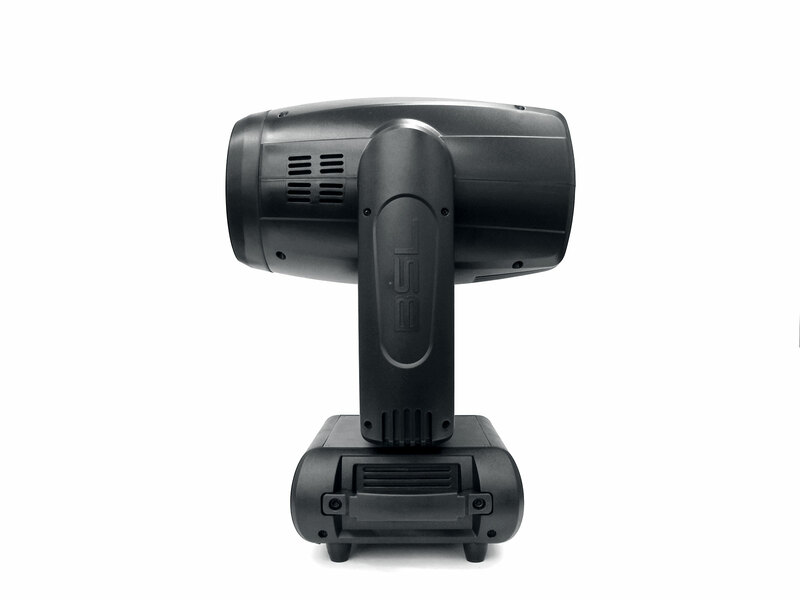 The entire zoom range goes up from 2 – 23 degrees, combined with the frost filter you can use the Goliath as wash effect. 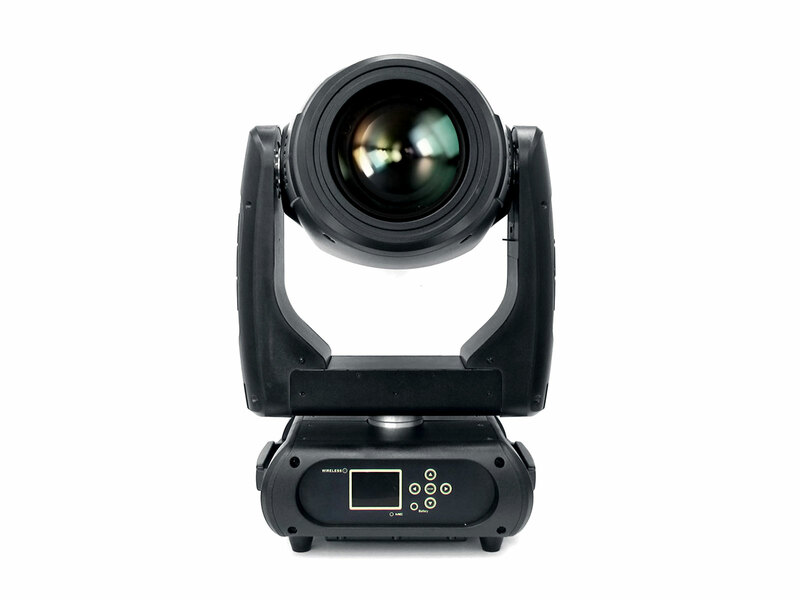 The zoom range in beam mode is 2 – 10 degrees and in spot mode from 5,5 – 23 degrees. 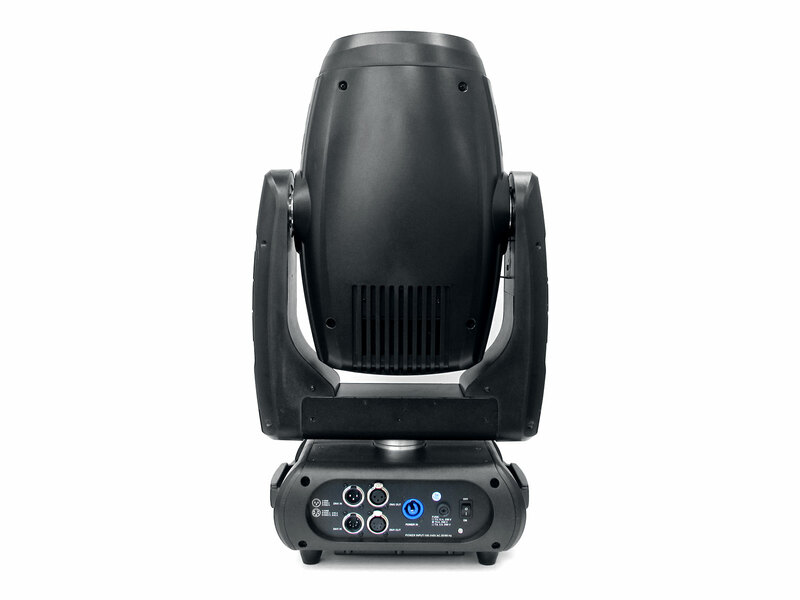 Furthermore the Goliath is equipped with 14 static gobo’s in Beam mode and 9 rotating glass gobo’s in Spot mode. 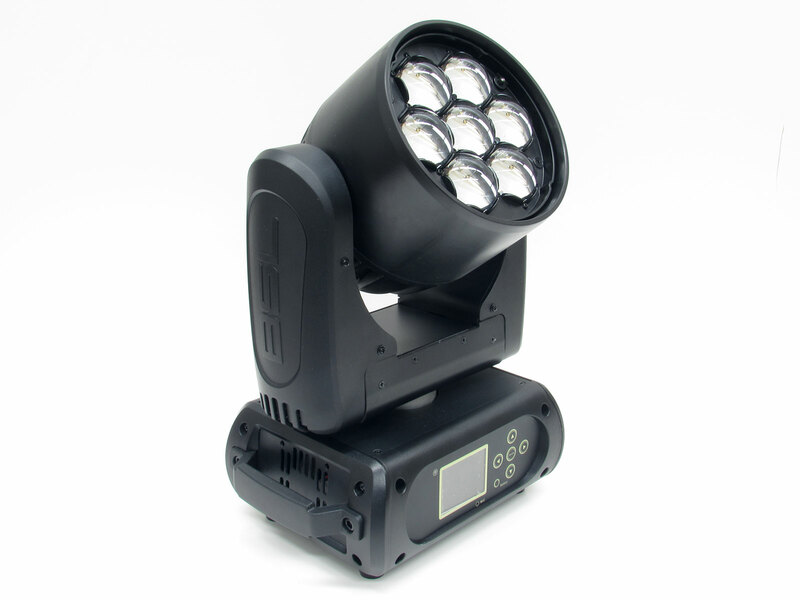 It has 13 colors, a 8-way circular prism and a very nice 6-way linear prism.